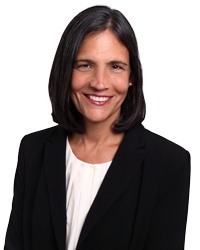 Lisa Brodsky practices primarily in the area of insurance coverage litigation and analysis, representing and counseling insurance companies in connection with complex, high exposure claims involving professional liability and CGL policies. She also provides third party administrator services, overseeing investigation, defense and resolution of claims for businesses with significant self-insured retentions. In addition, Lisa represents businesses and individuals in commercial litigation and appeals. Obtained summary judgment for insurance company in action seeking coverage under attorney professional liability policy for $1.4 million underlying judgment entered in a high profile malpractice case involving unusual fact pattern. Obtained judgment in favor of professional liability insurer, including rescission of policy issued to lawyer who failed to disclose alleged involvement in $23 million mortgage fraud. Negotiated favorable settlements on behalf of professional liability insurer and successfully disposed of 35 professional liability claims asserted against insured attorney. Obtained favorable decision by New York state’s highest court granting leave to appeal in case involving novel issues concerning application of a New York insurance statute to claims made professional liability policies. Underlying settlement in consolidated intrauterine device product liability litigation. "Class Action 'Overbilling' Lawsuit Not Covered Under Lawyer's Malpractice Liability Policy," Insurance Coverage Update, May 29, 2018. "Attorney’s Prior Knowledge of Contract Negotiation Error Bars Coverage for Malpractice Claim," Insurance Coverage Update, Oct. 2, 2017. Her presentations have included: "Avoiding Allocation Disputes - Itemized Verdicts & Insurer Intervention," a private client seminar, Feb. 13, 2018. Lisa joined Aronberg Goldgehn in January 1988. Since 2016, she has been recognized annually as a Leading Lawyer in Insurance Coverage by Illinois Leading Lawyers, a designation awarded to less than 5 percent of Illinois attorneys. In her free time, she enjoys growing produce and beekeeping for her family's farm market and honey business. What is your favorite thing about working at Aronberg Goldgehn? Aronberg Goldgehn is committed to and supports its women attorneys in pursuing work-life balance in their careers. What is your favorite place in Chicago? The Tribune tower with its bricks and stones from significant landmarks all over the world. I love being able to touch fragments of the Taj Mahal and the Great Wall of China on my way back from lunch.